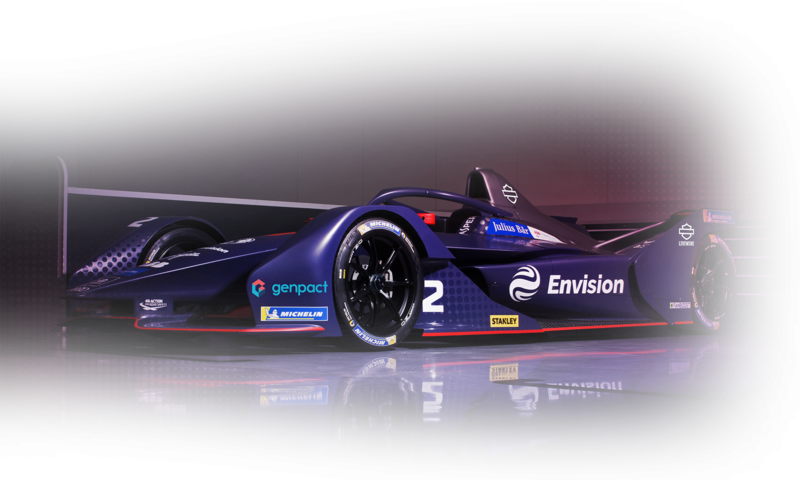 Envision Virgin Racing, one of the leading race teams in the all-electric Formula E championship, has confirmed a new partnership with electric vehicle charging technology company ChargePoint. The announcement was made during the team’s recent season five launch event, held at its state-of-the-art operations facilities at Silverstone Park. ChargePoint is the world’s leading electric vehicle (EV) charging network, with more than 54,000 places to charge worldwide. Envision Virgin Racing has partnered with ChargePoint to deploy three AC charging stations with six places to charge at the team’s Silverstone unit. This collaboration underscores the commitment by both companies to encourage more people to drive EVs. The chargers will be available to businesses at Silverstone Park and local residents and commuters outside of normal business hours. Through the ChargePoint app, any EV driver can find places to charge on a variety of charging networks. It takes just minutes to set up a free ChargePoint account and start charging right away. ChargePoint’s tap to charge feature enables drivers to use a smart phone to start a charging session by simply tapping the station. The app also allows drivers to see which charging spots are available in their area, obtain station information, monitor their charging status and view reviews and tips from fellow drivers. Virgin Racing is one of 11 teams competing in the Formula E series which returns for its fifth season in December. It remains one of the leading advocates of sustainability through its Race Against Climate Change programme, and recently had its core operations certified as carbon neutral.